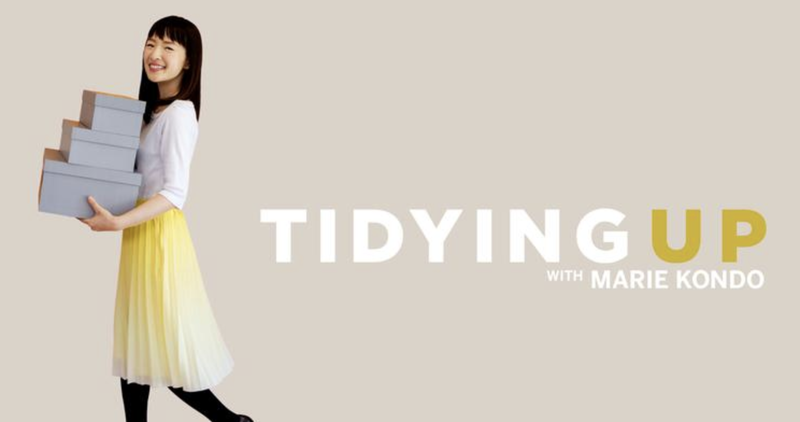 This past weekend, inspired by episodes of Tidying Up With Marie Kondo on Netflix, I bit the bullet and decided to declutter my closet using the KonMari Method. At the end of the day, I was surprised not only by the size of my donation pile, but also by the parallels I found between Marie Kondo’s tidying philosophy and best practices for startup decision-making. Lesson: Decisions small and large are better when you keep the full context in mind. When the KonMari Method required that I take every item of clothing out of my closet and dresser to pile them up, what at first felt like a gimmick quickly turned into an important part of the tidying process. Seeing the gigantic mound of clothing in front of me was critical when it came to evaluating whether to keep or give away each item. Had I taken one shirt off the rack, considered its value to me, and put it back on the rack, I would have been far less effective. Instead, staring at each shirt while having the full pile of clothes in front of me provided me the appropriate perspective on the problem and resulted in over 50% of items being prepped for donation (over 8 bags’ worth!). The KonMari Method emphasizes that when it comes to your belongings, making these decisions hastily and without the full context is the wrong way to go. The same applies when making decisions related to your startup. More than once, I’ve been in a boardroom with a founder selling the board on a new major initiative or product idea. Before I can buy in, I have to ask about the broader context including our cash runway, hiring plan, and other engineering priorities. In a way, I want to stare at the “full pile of clothes” while considering a new initiative. Keeping the full context in mind while making seemingly siloed decisions is critical. Lesson: Saying “no” doesn’t have to be an offensive act. The KonMari Method taught me that when an item of clothing no longer “sparks joy”, it’s time to thank it for its service and carefully pass it on to its next home. This was a subtle modification to just hastily throwing an item in the donation bag, but it made all the difference. It can often feel abrasive or rude to turn something down, but learning how to be comfortable with saying no — whether in the startup world or more broadly — is a crucial skill. Sometimes, this can be as simple as reframing your thinking. In the context of startups, I’ll use the example of firing someone who should no longer be part of your team. You don’t want to ask yourself the question, “Do I want to take a paycheck away from this person?” because the answer will be “No way!”. Instead, envision the company and culture that you aspire to have — a profitable quarter, a collaborative team atmosphere. Then ask yourself, “Does this person help me achieve that vision”? If the answer is no, then they are holding you and your team back from what will ultimately spark joy. You aren’t saying “no” to that employee, so much as you are saying “yes” to the rest of your team and the future of your company. And of course, you can still be a compassionate founder in the process of letting that employee go — à la Marie Kondo, thank them for their contributions, and help them on to their next “home”. It’s only been a few days since I used the KonMari Method to free myself of closet clutter, but I already feel like a weight has been lifted off of my shoulders. I’ll be referring to this method as I evaluate my decision-making moving forward, and if you’re doing the same, I want to hear about it! Leave a comment or get in touch with Ubiquity Ventures. Thanks to Laura Chau for help with this post. She spent the Summer of 2017 helping Marie Kondo scale her joy-sparking efforts.